Your website doesn’t exist just to get views. But the vast majority of people who visit your website leave without doing anything more than looking at your page. On average, about 98% of website visitors leave without converting. Some of them might come back on their own. But most of them are gone for good—unless you leave with them. Retargeting is an advertising technique that lets you advertise to past website visitors, after they’ve left your website. Someone looks at a bestselling product on your website. They leave without buying anything. They visit other sites, where they see an ad for the product they saw on your site. If a person physically followed you out of a store to tell you more about their products, it’d be super creepy. But retargeting is subtle enough that it feels more coincidental—like when you see a commercial for a car and then start noticing more of that particular model on the road. People are constantly bombarded with ads they have no interest in. And nobody likes that. Retargeting allows you to create more relevant ads, which is better for you and the people who see them. Savvy digital advertisers know that the biggest return on investment comes from the most relevant audience. Retargeting is one of the best ways for advertisers to focus their efforts on the right people. If your audience has already engaged with your website, it’s usually easier to invite them back than to win the interest of a brand new group of people. What are the main retargeting platforms? Obviously, for retargeting to work, your ads have to be where people actually are. The Google Display Network lets your ads retarget people across more than two million websites, reaching 90% of people on the Internet. It can also tap into mobile apps. There are also over one billion people on Facebook, which makes Facebook’s retargeting pixel another potent tool. These two companies are advertising giants, but other platforms offer a wealth of inventory as well. AdRoll boasts that the locations they advertise are the cream of the crop, so you get the most from your ad spend. Each platform gives you different data points to work with and unique ways to segment your audiences. But the underlying principle is the same: people leave your website, and your ads leave with them. Generated a 1,529% ROI on their ad spend. Achieved a 6.38% click through rate on ads. People who visited the website in the last 14 days. People who added a product to their cart in the last 14 days. People who made a purchase in the last 180 days. Where the study came from: Webrunner Media Group published this case study on their blog in 2017. Myfix Cycles was one of their clients. Webrunner was using AdWords to drive new traffic to Myfix Cycles’ website. After 30 days, they were barely breaking even. Instead of using AdWords to retarget these same people, they decided to combine their efforts on Google with a retargeting campaign on Facebook. People who recently visited the website. People who recently added an item to their cart. People who made a purchase a while ago. 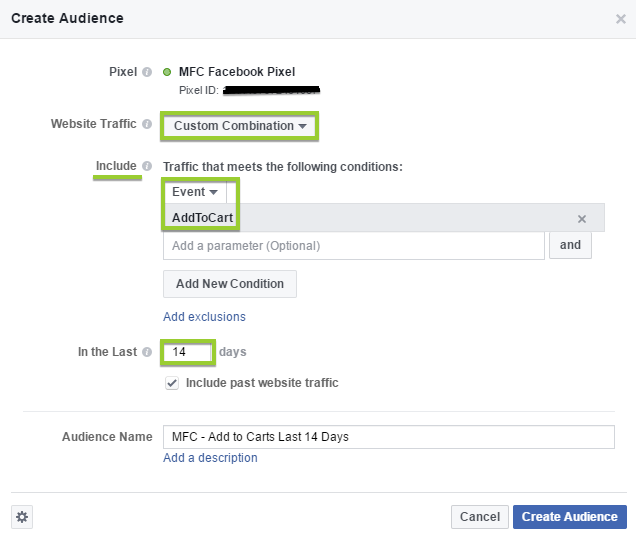 Webrunner set the event source to “purchase,” which told Facebook to optimize the ads for transactions, as opposed to clicks, impressions, signups, or another metric. And since Myfix Cycles only ships to Canada, they excluded anyone outside of Canada. Unless your website gets a ton of traffic, retargeting is going to leave you with a pretty small audience. Keep in mind though, you can show the same ad to the same people several times before you start seeing diminishing returns. In this case, Webrunner found that most people purchased after seeing the ad between five and seven times. From their results, I’m guessing Myfix Cycles had a pretty small advertising budget to work with. For just shy of $200, they generated a little over $3,000 in revenue. That’s a huge return on investment—$15 earned for every $1 spent. And it’s a good reminder that you don’t need a massive budget to make retargeted marketing worthwhile. It’s also worth noting that Myfix Cycles’ main products (bikes) cost over $300. The case study doesn’t show how large the retargeted audience was, but it’s possible that they had less than 10 transactions, which makes it hard to say if these results are scaleable. Increased average order value by 13%. Decreased cost per acquisition by 34%. Where the study came from: This case study appeared on Think With Google in 2014. Less than 1% of visitors to Watchfinder’s website make a purchase on their first visit. That’s terrible, but it also may not come as a surprise—the average online order is over £3,500. With such a steep price tag, people needed more time to decide to make a purchase. As Periscopix learned more about which ads in which locations were performing the best, they created new segments and even more targeted ads. The closer someone was to making a purchase on their initial visit, the more effective retargeting efforts are going to be. Periscopix found that the highest converting audience was people who spent 10 minutes or more on Watchfinder’s site without making a purchase. After six months, Watchfinder saw a 1,300% ROI, a 13% increase in the average order value, and a 34% decrease in cost per acquisition. Increased homepage views by 835%, despite a 30% cut to their marketing budget. Increased total website traffic by 10%. Increased unique visitor traffic by 8%. People who were inactive or opted out of email campaigns. People from the same organization as existing leads. People who visited the Lumension booth at a conference. Where the study came from: Marketing Sherpa interviewed Lumension’s senior vice president of marketing and published this case study in 2014. To do that, they turned to a channel they’d been playing with for a couple years: retargeted display advertising. 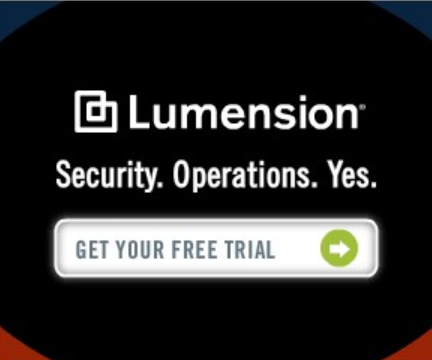 Despite the cut to the marketing budget, Lumension continued pouring money into its awareness campaigns as well. They couldn’t definitively say that their awareness efforts were generating sales, but there appeared to be a strong relationship between the two. So the plan was to combine their awareness efforts with retargeting. Retargeting would increase the benefit of the awareness campaign by converting more of those visitors, and the awareness campaign would increase the audience size for the retargeting campaign. Lumension is a B2B SAAS product. They knew that not everyone who visited their page and was interested in their product had the power to pull the trigger and make a purchase by themselves. There were four or five decision makers who might all be researching endpoint security software. That’s a terrible ad. But the fascinating thing about retargeting is even terrible ads can perform well if the audience is relevant enough. And this was some pretty advanced stuff. Marketing Sherpa didn’t specify how Lumension pulled off this level of targeting, but it probably involved leveraging some pretty advanced data. Lumension also took advantage of offline events to create a conference-oriented retargeting audience. They had a booth at an IT conference, and they used roadblock ads on sites that were promoting the conference. At the Lumension booth, they collected contact information. People who visited the booth and showed up at the roadblock pages saw a unique set of ads. Again, it’s a pretty awful ad. It looks like it’s from the 90s, not 2012. Still, it worked. Marketing Sherpa doesn’t share how Lumension’s retargeted advertising impacted trials or sales, but they saw an 865% increase in total website traffic. Clearly, people were both clicking these ads and remembering the brand that made them. Increased ad conversions by 89% over a two month period. Had more than 500 million impressions in six months. Used Google’s dynamic remarketing and target CPA bidding (formerly known as conversion optimizer). Segmented audience based on average order price. Where the study came from: Think With Google published this case study in 2014. You’ve probably never heard of Bebê Store before, but in Brazil, they’re a big deal. They have more than 30,000 baby-related products. And in six months, they had more than 500 million impressions through the Google Display Network. 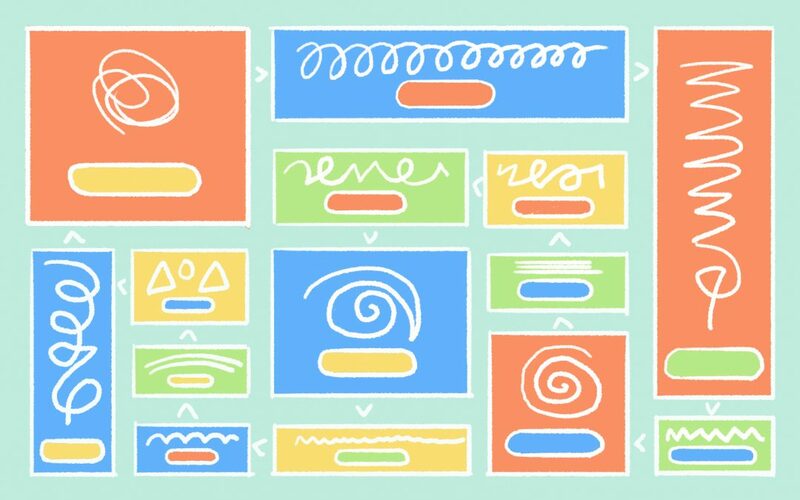 With so many products, it’d be impossible to manually create relevant ads for every person. So Bebê Store employed Google’s dynamic remarketing, which showed website visitors custom ads based on which of the 30,000+ products they visited. The results? Showing custom ads to people who had already visited the website increased conversions by 89% over a two month period. Not too shabby. Acquired 12,000+ email addresses through Facebook ads. Achieved an average CPL of $0.24. Created a broadly appealing offer that directly related to the email list. Switched from static ads to carousel ads. Where the study came from: This one comes from right here at Overthink Group. JFP is one of our clients, and Tyrel Tjoelker helped them secure a ridiculously low CPL, then published this case study at the end of 2017. Jesus Film Project enlisted our help to grow an email list and build a more diverse audience. They wanted more people, and they wanted younger people. The email list is focused around their mission—Christian discipleship—so to make our offer as effective as possible, we created a new resource with broad appeal to people who would be interested in discipleship (you can see the landing page here). Don’t get me wrong: 40 cents per lead is still amazing. Those 12,000 email addresses would cost you less than $5K. We offered a relevant, broadly-appealing resource. We offered it to the right people. At the moment, this ad campaign is still running and bringing in new leads. Achieved an ROI over 100%. Switched from retargeting with Google Adwords to using AdRoll. Where the study came from: AdRoll published this case study on their website. American Patriot Giveaways lets people book cabins in the mountains. They’d tried using Google’s retargeting platform, but it wasn’t producing the results they needed, so they switched to AdRoll. “Before AdRoll we were using Google retargeting, and while we definitely got impressions, we didn’t get many conversions,” says IT director Adam Montgomery. AdRoll blended “prospective advertising” with retargeted ads to simultaneously build brand awareness and increase conversions. Like we saw with Lumension, the two-pronged approach produced the results they were looking for. American Patriot Giveaways reduced their cost per acquisition from $15 to under $10, and they achieved an ROI of more than 100X. Increased conversions on forms by 51%. Increased returning visitors by 65%. Increased average visit duration by 300%. Where the study came from: WordStream founder Larry Kim published this case study on Moz’s blog in 2013. In 2012, WordStream had an interesting problem: hundreds of thousands of people visited their site every month, but almost no one knew who they were. WordStream was seeing massive growth in organic traffic, but almost 80% of their visitors were brand new every month. And with a signup conversion rate under 2%, most of those people were never coming back. A 2% conversion rate is perfectly ordinary, but WordStream founder Larry King was far from satisfied. In his mind, all the effort they’d put into SEO was being wasted. Beyond the distribution of new and returning visitors, branded search was another clear signal to King. People weren’t staying on the site, converting so they could come back, or searching for the brand again later. So WordStream decided to use retargeting to increase conversions and brand recognition. People who visited the WordStream blog. People who visited the homepage. People who visited a free tool. 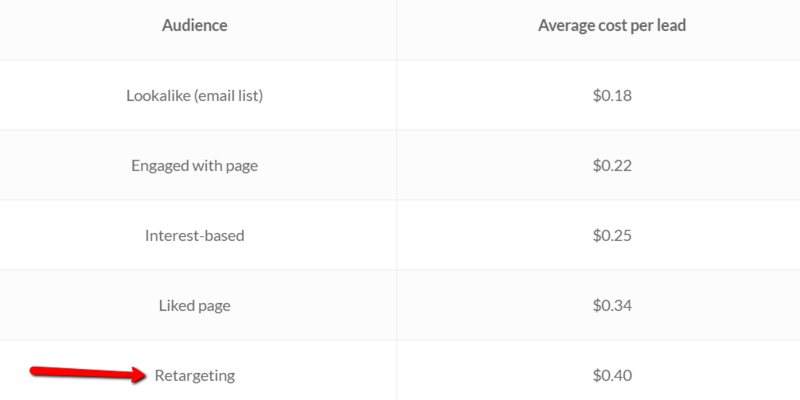 They determined that blog visitors had the lowest intent, and people who visited the free tool but didn’t convert were the most valuable targets—so they bid accordingly. They continued showing ads to these people for 30-60 days, but King advises against following his model there (that’s a long time to keep showing someone an ad—it makes ad fatigue a real danger). The longer it’s been since someone visited your page, the less likely they are to convert. And after a point, continuing to show people ads becomes expensive and ineffective. Whether they bookmarked the site or simply entered in the URL, far more people started going to the website directly. And as for their returning visitors? The percentage of people who came back every month increased from about 20% to about 33%. That’s a 65% increase in returning visitors. Since WordStream gets hundreds of thousands of organic visits every month, they spend a lot more advertising dollars on remarketing to those visitors than they do on getting visitors. Every month, they pay for almost 44 million retargeting impressions. Let that sink in. I really, really wish Larry King didn’t blur out all those other data points. But clearly, remarketing is helping WordStream adjust the ratio of new and returning visitors, which helps them keep reaching more of the right people. ROI was 590% higher in one month. Achieved a 33% lower CPA than their goal. Saw a 200% increase in signups. Segmented audience based on product/category pages they viewed. Executed campaigns across multiple display networks. Where the study came from: AdNews published this AdRoll case study in 2014. Yatango had a limited advertising budget, but they teamed up with AdRoll to deliver dynamic retargeted ads to website visitors. They segmented based on the product and category pages people viewed. In a single month, they also saw their overall ROI increase 590% and achieved a 33% lower CPA on Facebook than their goal. Gets 2,000 conversions per month. Retargeted people who had already made a purchase and people who spent time viewing a product. Where the study came from: AdNews published this AdRoll case study in 2015. Imagine that your product is only available for five days every month. On one hand, it could create anticipation and drastically increase demand on those five days. On the other, people may just forget about you altogether or turn to a competitor so they don’t have to wait. This is the exact scenario The 5TH Watches built their brand around. On the fifth of every month, they run a five day sale of luxury watches. It’s a bizarre model, but it’s their thing. And it means that it’s really important for them to cultivate and maintain an audience. Spent time looking at a particular product on The5TH.co. Whatever it is you ultimately want people to do—buy your product, sign up for your email list, download your app—remarketing helps them take the next step. Lots of people are exposed to the top of your funnel, but that’s also where you see the biggest drop off. If you don’t have other touch points with people in the top of your funnel, you’re tossing visits in a wishing well. Maybe they’ll come back, maybe they won’t. Retargeting doesn’t work everytime, but it’s worth exploring how it might turn more of these visits into leads, or reinforce other holes in your marketing funnel. Increasing organic traffic through blogging. Utilizing chatbots on their websites.